Why Does China Want Hollywood And Vice Versa? Growth is stagnant in Hollywood's traditional markets, and China is the fastest-growing emerging market. China builds about 22 new movie screens a day, and with a middle-class population that will soon equal the size of the entire US population at 320 million, Hollywood movies can make hundreds of millions per release. Although China's domestic film industry puts out several hundred of its own films every year, 34 Hollywood films still account for 38 percent of demand among Chinese moviegoers. Hollywood executives are all seeking access to the Chinese market, and the only way to avert the risk of failing to make it into the 34 foreign films the government chooses is to work with Chinese movie production crews. 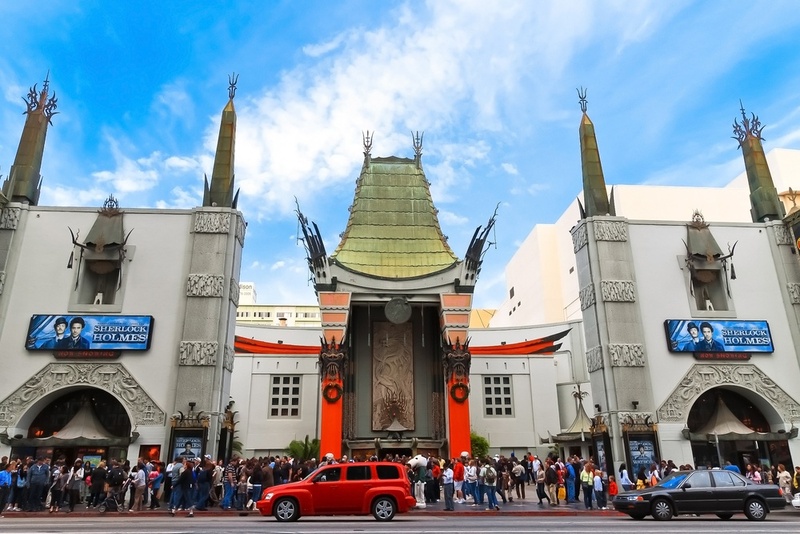 Chinese companies have also taken notice of the vast demand for Hollywood's style of entertainment in their home market. Wang Jianlin has led the way for China's domestic film industry by constructing an 8.6 billion dollar film production complex in Qingdao, which will be the world's largest studio pavilion when it opens in 2018. The Oriental Movie Metropolis, as it is called, has already been used in the filming of The Great Wall, the first big-budget US-China co-production. 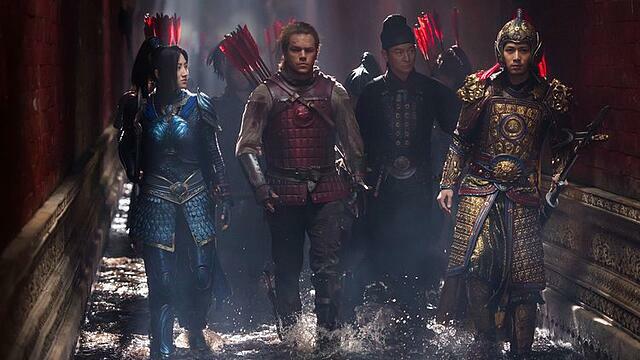 The Great Wall received a lot of criticism for whitewashing a story about Chinese culture with the casting of Matt Damon, who seemed in the previews to be the main character. However, once the movie opened, it became clear Damon was just one of a host of characters, and that the previews did not accurately represent the plotline. Zhang Yimou, probably the most famous Chinese director of all time, suggested that Damon's selection was part of his artistic vision of making a movie to "symbolize how two countries collaborate." The movie crew was half Chinese and half international, and the movie was filmed entirely in China. An army of over 100 interpreters had to be on site to facilitate the process. 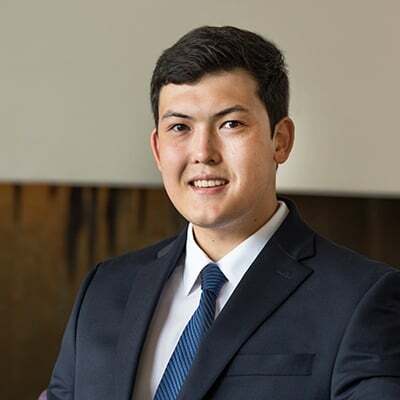 The resources put into this 150 million dollar production led some experts to suggest that it could be a model of how China and Hollywood approach the global market in future collaborations. The film's release was met with mixed reviews by critics in both China and America, and it seems the first attempt to please both sides has not really succeeded at truly appealing to either. However, the movie is the first time a Chinese director's work will be seen on the majority of screens in North America and gives desired recognition to an underrepresented minority in Hollywood. It is also a statement of intent for the Oriental Movie Metropolis in Qingdao with its state-of-the-art special effects and its all-star cast. 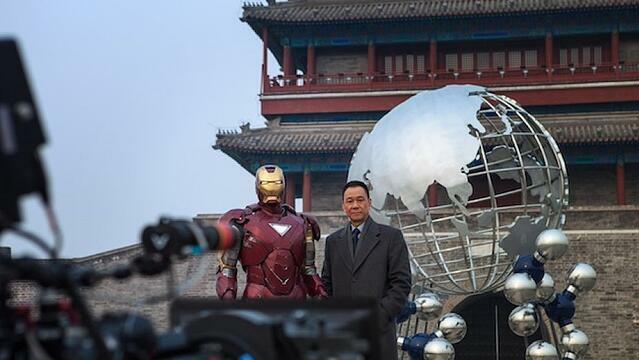 The scene above only appeared for Chinese audiences because the makers of Iron Man 3 made an additional four minutes of film specifically for China. Chinese co-producers and stars Fan Bingbing and Wang Xueqi were employed just for the four minutes of additional screen time and cultural references that were necessary for Iron Man 3 to be considered a co-production with China. In the end, it was a wide business decision because it made 121 million USD at the Chinese box office. Iron Man 3 has been called the first of many Hollywood blockbusters to target the Chinese market specifically, and the scene which allowed it to do so was met with some sarcasm on Chinese social media. Despite the half-hearted attempt at making it a co-production, Iron Man 3 was destined to make a lot of money in China because of the popularity of the sci-fi genre, which is relatively new in Chinese culture. The creators Marvel are owned by Disney, which recently signed a co-production deal with Shanghai Media Group, who will help them continue to access the Chinese market through co-productions. 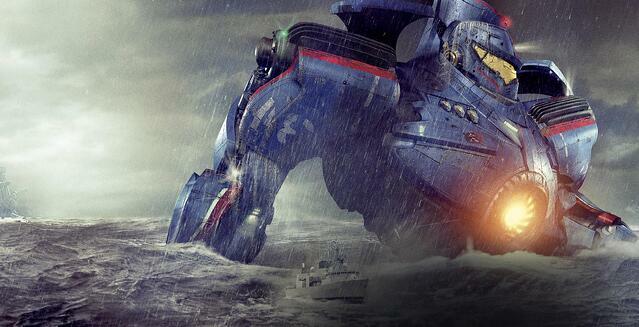 Pacific Rim made 114 million USD in China, which was 25 percent of its total global box office revenue and 14 million more than it made in the US. Chinese audiences are the single reason there will be a Pacific Rim 2, and seem to be making up for a lack of enthusiasm among traditional US moviegoers. Legendary has cast quite a few Chinese stars for the sequel including Zhang Jin, who played in kung fu film IP Man 3 and was Zhang Ziyi's stunt double in Crouching Tiger, Hidden Dragon. Wanda says Pacific Rim 2 is important to it, as the storyline is closely tied to China and the cast is largely Chinese. Transformers: Age of Extinction was a very obvious attempt to appeal to Chinese audiences, but it worked. While it made 244 million USD in America, it performed the best in China, making 301 million. The success of this blockbuster has been attributed to the fact that it incorporated the Chinese content better than Iron Man 3, as China was part of the plotline rather than an isolated scene. It was China's highest grossing movie until it was overtaken by Furious 7 and two homegrown productions, Monster Hunt and The Mermaid.